Karbonn has expanded it’s Android Smartphone portfolio with a slew of Android devices recently. Karbonn A9+ and Karbonn A21 are the latest batch of phones that join it’s expanding portfolio, both these phones are available through online retailers. Both these phones carry Android Ice Cream Sandwich on board. 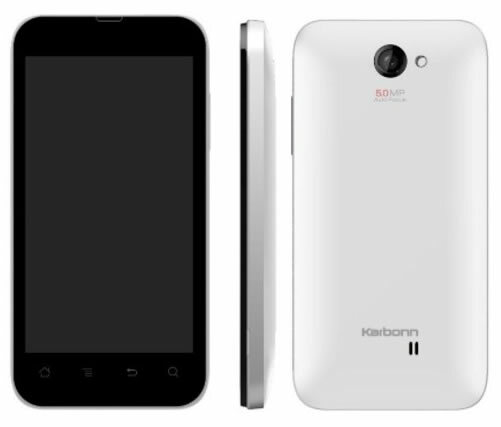 Karbonn A9+ is the successor of Karbonn A9 Android Smartphone launched some time back. It is available online from Flipkart.com and is priced at Rs. 9,290. It has a 4-inch IPS display with 480 x 800 pixel resolution. It is powered by a 1.2GHz dual-core Scorpion processor, 512MB RAM and 2.5GB internal memory expandable upto 32GB with a microSD card. It runs on Android Ice Cream Sandwich OS. It is a dual-SIM (GSM+GSM) Android phone, other specifications of the A9+ include a 5 megapixel rear camera, and a 1.3 megapixel front camera, LED flash and Autofocus. Battery is puny for this phone, at 1420mAh it is smaller than the Karbonn A9 launched earlier. Connectivity options of A9+ include USB, Wi-Fi, Wi-Fi hotspot, aGPS, 3G, Bluetooth. 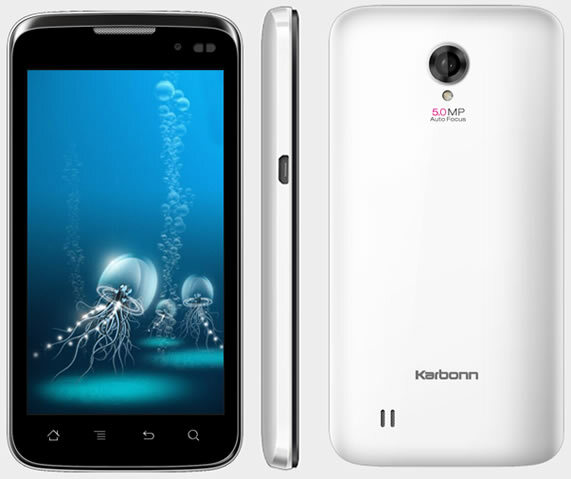 Compare Karbonn A9 and A9+ specifications. Karbonn A21 is also a dual-SIM Android phone like the A9+, it has a bigger screen than A9+ at 4.5inches with 480 x 800 pixel resolution. It also runs on Android Ice Cream Sandwich OS, it is powered by a 1.2GHz Qualcomm Processor, 1GB RAM and 1GB internal memory expandable upto 32GB with a microSD card. It is available online from Snapdeal.com for Rs. 10490. Other specifications of Karbonn A21 include a 5 megapixel rear camera with LED flash and a 0.3 megapixel front camera, 1800mAh battery. The connectivity options include USB, Wi-Fi, GPS, 3G and Bluetooth. Well, on Snapdeal A21 product page it shows 1GB RAM. I will try to confirm it anyway.